The Arctic Star is a military campaign medal instituted by the United Kingdom on 19 December 2012 for award to British Commonwealth forces who served on the Arctic Convoys north of the Arctic Circle, during the Second World War. 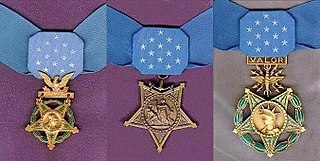 The Order of Victory was the highest military decoration awarded for World War II service in the Soviet Union, and one of the rarest orders in the world. The order was awarded only to Generals and Marshals for successfully conducting combat operations involving one or more army groups and resulting in a "successful operation within the framework of one or several fronts resulting in a radical change of the situation in favor of the Red Army." In its history, it has been awarded twenty times to twelve Soviet leaders and five foreign leaders, with one revocation. The last living recipient was King Michael of Romania, who died on 5 December 2017. The George Cross (GC) is the second highest award of the United Kingdom honours system. 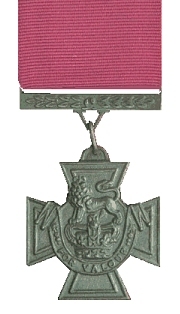 It is awarded "for acts of the greatest heroism or for most conspicuous courage in circumstance of extreme danger", not in the presence of the enemy, to members of the British armed forces and to British civilians. Posthumous awards have been allowed since it was instituted. It was previously awarded to residents of Commonwealth countries, most of which have since established their own honours systems and no longer recommend British honours. It may be awarded to a person of any military rank in any service and to civilians including police, emergency services and merchant seamen. Many of the awards have been personally presented by the British monarch to recipients or, in the case of posthumous awards, to next of kin. These investitures are usually held at Buckingham Palace. General Michał Tadeusz Karaszewicz-Tokarzewski, Coat of arms of Trąby pseudonym Doktor, Stolarski, Torwid was a Polish general, founder of the resistance movement "Polish Victory Service". Ivan Yefimovich Petrov was a Soviet Army General from 1941. The War Medal 1939–1945 is a campaign medal which was instituted by the United Kingdom on 16 August 1945, for award to subjects of the British Commonwealth who had served full-time in the Armed Forces or the Merchant Navy for at least 28 days between 3 September 1939 and 2 September 1945. The Partisan Cross was a Polish military decoration awarded to World War II partisans. It was introduced by the Council of Ministers on October 26, 1945. The Italy Star is a military campaign medal, instituted by the United Kingdom in May 1945 for award to British Commonwealth forces who served in the Italian Campaign from 1943 to 1945, during the Second World War. Stanislav Gilyarovich Poplavsky was a general in the Soviet and Polish armies. The Order of the Military Cross is a Polish order established on October 18, 2006. It is awarded for "distinguished service, sacrifice, and courage in actions against terrorism in the country or during foreign deployments of the Armed Forces of the Republic of Poland in times of peace." Kazimierz J. Kasperek, nicknamed Kazik, was a Polish Navy officer who served during World War II. He eventually emigrated to the United States, where he published his memoirs. The Volunteer Cross for War and the Volunteer Medal for War were Polish military decorations introduced just before the start of World War II and later awarded by the Polish government in exile. The Cross and the Volunteer Medal for War were introduced by an act of the Sejm on 15 June 1939. It was to be awarded to people who volunteered for duty in the years 1918 to 1921 and helped to strengthen the independence of the Polish Republic. . Because of the German invasion of Poland in 1939 and the outbreak of World War II no decorations were awarded at the time. It was only after 1945 that the Polish government in exile was able to award the decorations. The communists authorities of the People's Republic of Poland refused to recognize the decoration. After the fall of communism a very similar decoration, Krzyż za udział w Wojnie 1918-1921, was introduced. Mieczysław Cygan - Polish military commander, Brigadier General of the Polish Army, military governor of Gdańsk (1982–1988), Secretary General of the Council for the Protection of Struggle and Martyrdom Sites (1989–1990). Naum Semyonovich Shusterman was a lieutenant colonel of the Soviet Union, who served as the chief engineer of the 43rd Soviet Fighter Aviation Regiment during the Great Patriotic War. The Military Cross of Merit, Navy Cross of Merit, Air Force Cross of Merit are military decorations awarded to members of the Polish Armed Forces. 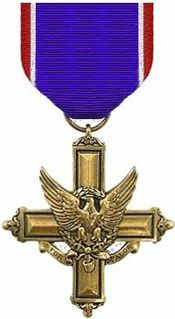 The crosses with swords (z Mieczami) are conferred for meritorious service in combat operations against acts of terrorism at home or during military, peacekeeping or stabilization missions overseas; the crosses without swords are conferred for outstanding non-combat meritorious achievement or service.